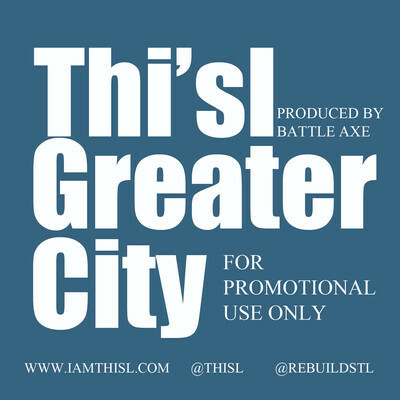 After listening to Greater City by Thi'sl, God revealed these two interpretations of the song... and if you're looking for a worship rap song, this is one. 1. You are a Great City. God created you one and until you find your identity in Christ, you cannot become that great city with Light shining on it's inhabitants. Get more intimate with God to become a greater city. 2. You are a Great City to make your city, where you live in, a greater city; A greater city in that it shines Light (notice that Light is a noun)... I'm talking about Christ... A great city is a city that shines God's light to it's inhabitants(those around the city). Is this possible on earth with all the sin and commotion? YES! With God all things are possible. Imagine a city so full of God's love, heart and is a shining light to other cities around and is like a light tower to boats lost in the sea looking for where to anchor. Strive to be a Greater City and make your city a greater city and I will strive to do the same by God's grace alone.